Make your career goals a reality by getting the essential accounting knowledge and skills you need to be able to complete important bookkeeping functions with this nationally recognised course. 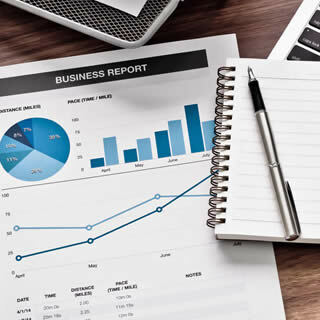 In this online accredited accounting course – FNSSS00014 Accounting Principles Skill Set, you will learn to prepare financial reports, process financial transactions and extract interim reports, administer subsidiary accounts and ledgers, complete business activity and instalment activity statements, as well as establish and maintain payroll systems. Online: You have up to 12-months to complete your course. This is a self-paced, Trainer-supported method of learning. We recommend you spend approximately 10-hours a week reading the course material and completing the assessment tasks given if you are aiming to complete the course within 6-months. * Fees for this course is billed prior to the commencement of the course. If you wish to pay for your fees through a payment plan, you will need to make a payment of $475 to confirm your enrolment with the balance to be paid in 6 equal monthly payments totalling $1,290.